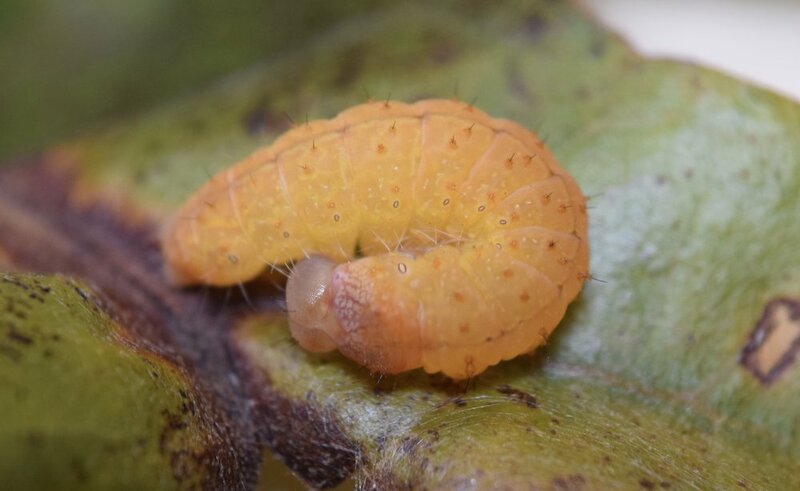 Currently, I am working on an exciting project measuring host use patterns and diversity of lepidopteran larvae within a large scale tree biodiversity experiment. The goal is to determine whether diverse vs. monoculture tree planting layouts can enhance the ability of managed forests to support wildlife biodiversity. Below are some of the critters sampled from trees within the project! 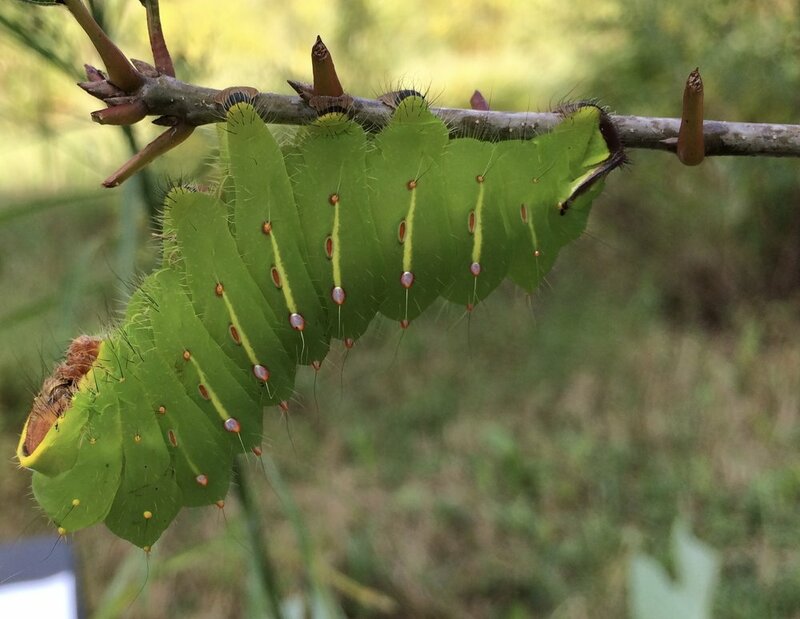 I am collecting these beautiful creatures within a large-scale tree diversity experiment with the goal of determining how diverse vs. monoculture tree planting layouts alter the community of insects that use these trees as host plants. Put simply, does a tulip tree that is surrounded by only other tulip trees function in the same way as one that is surrounded by a diverse mixture of trees? 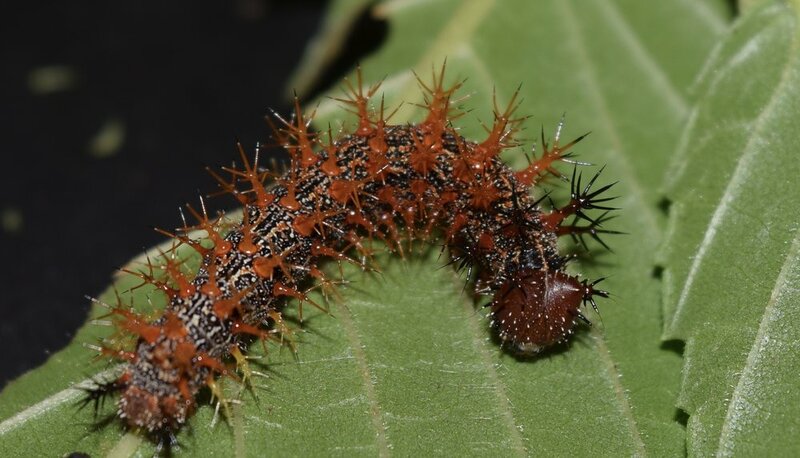 Are caterpillars using these trees more or less? Are they generalist or specialist species? Does this lead to higher insect damage levels and lower tree growth in plots that host more caterpillars? To answer these questions. I am using experimental set-ups at both the Smithsonian Environmental Research Center and the Smithsonian Conservation Biology Institute. I use a focal tree design that examines plants within a similar spatial array but that differ in the diversity neighborhood they grow within. I find that moths and butterflies do indeed discriminate against trees within low diversity neighborhood. 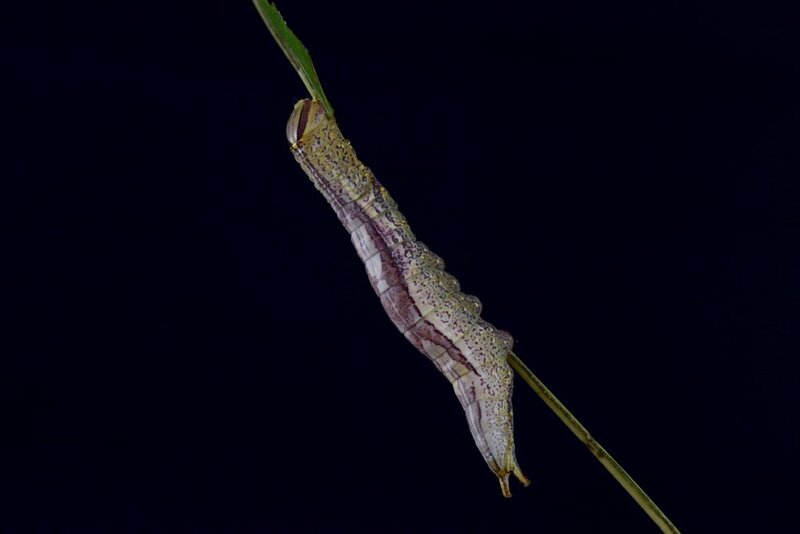 Almost all species of tree support a more diverse and abundant caterpillar community when they are surrounded by tree individuals of a different species than themselves. Currently I am delving into how these patterns related to insect damage, tree growth rates, and leaf chemistry and traits. I am also partnering up with a number of collaborators to expand this experiment beyond the plant and insect trophic level to understand the community dynamics playing out within these forest plots both above and below-ground. Currently we have additional data for the soil mycorrhizal communities and the internal leaf endophyte communities found within these same trees. Further I will examine whether there is differential predator and parasitoid community control occurring within these same plots. Certainly very exciting to be able to bring together a number of talented people at SERC to pursue joint questions that would be very challenging to do within a broad network of expertise. The conceptual approach for examining the interaction of a number of microbial and insect communities living on the focal trees.